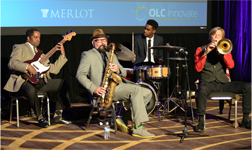 Revisit the OLC Innovate 2017 Conference! Missed the Conference? No problem! Your institution can get an unlimited group package of 97 recorded sessions for just $895! 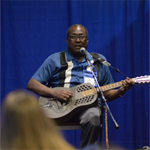 The second annual OLC Innovate conference, held April 5-7, 2017 in New Orleans, LA was a very exciting, festive and successful event. 18 countries were represented among the more than 1,275 onsite and approximately 750 virtual attendees. As the premiere conference on online learning, this year boasted a program consisting of an outstanding mix of more than 450 speakers. Attendees had many outstanding and diverse options to choose from, including 113 Emerging Ideas sessions, and many other presentations (Education sessions, Workshops, Conversations that Work, Research Highlights & Trends, Featured Sessions, Career Forum Roundtables, etc. ), as well as features such as the Innovation Lab, PlugIN Lounge, and Innovation Installation. 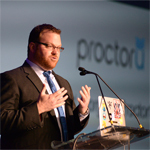 This event also featured some exciting new sessions, including Keynote Lightning Talks, Innovation Lab presentations, the Solution Design Summit and even a marching band, a jazz band, a brass band, contests and prizes! We sincerely hope you will join us at next year’s OLC Innovate 2018, taking place April 18-20 in Nashville, TN, AND for OLC Accelerate taking place November 15-17, 2017 in Orlando, FL. Sign up for email updates of these events. Your Institution can get an unlimited group package of 97 recorded sessions for just $895! 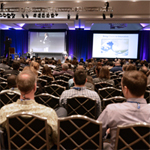 Now you and your entire university can access 97 recorded sessions including the Keynotes, Plenary, featured sessions, select information session and key vendor showcase sessions to view at your convenience. 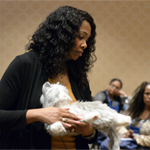 The 97 recordings are always free for registered attendees. If you were a registered attendee of the conference, you were sent instructions and the activation link before the conference, during the conference in the daily update e-mails and post conference in the post con/survey e-mail. Please e-mail conference@onlinelearning-c.org if you have any questions. “I would recommend this conference to my colleagues because of the wide range of topics covered. There was something for everyone, and having the opportunity to network with like-minded peers in the field is priceless.” Heather Bushey, Bay Path University. Click the button to choose which package to buy. Unlimited groups must provide us with a group manager who will serve as the designated support contact for recording access issues. Recording viewers are provided technical and customer service support through their group manager only. A member of the OLC Conference Team will contact you after purchase to set up your group manager. What is the Group Manager’s responsibility? The designated Group Manager must purchase this package first. Upon completion of this package registration, the Group Manager will receive the allotted number of package participant coupon codes to assign and distribute to each participant in their group. 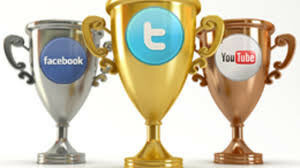 Each participant will then register themselves as an “Individual” Virtual Attendee and enter their unique package participant coupon code. To access streamed sessions, participants need to be logged in at onlinelearningconsortium.org. SAVE THE DATE! Join us in Nashville April 18-20, 2018 for OLC Innovate 2018. Sign up for conference updates to receive the latest information on Online Learning Consortium events. 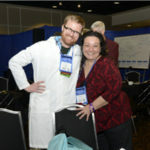 All photos are property of the Online Learning Consortium. If you would like a larger copy of any of the photos, or if you would like to use them for promotional purposes, please contact patricia.kungie@onlinelearning-c.org. Thank you to our generous sponsors for the prizes below! 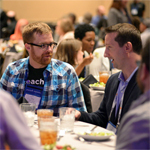 Take a look at photos, videos, inspiring quotes, and more that were shared before, during, and after the conference by following the #OLCInnovate hashtag, here! 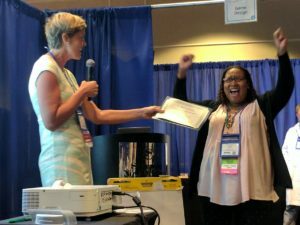 Kirstin Riddick, accepting her 1 year OLC membership for winning “Whose Design is it Anyway?” contest. OLC Innovate 2017 is over, but thanks to the power of video the conversations that took place there are still going strong. Online Learning Consortium’s (OLC) selected Sonic Foundry to be the national webcasting partner for the event in New Orleans, La. earlier this month. Sonic Foundry’s Mediasite Events team live streamed OLC Innovate 2017 to new online audiences. In the OLC Innovate 2017 Virtual Lounge, online attendees could converse with presenters and their peers and watch sessions in real-time. 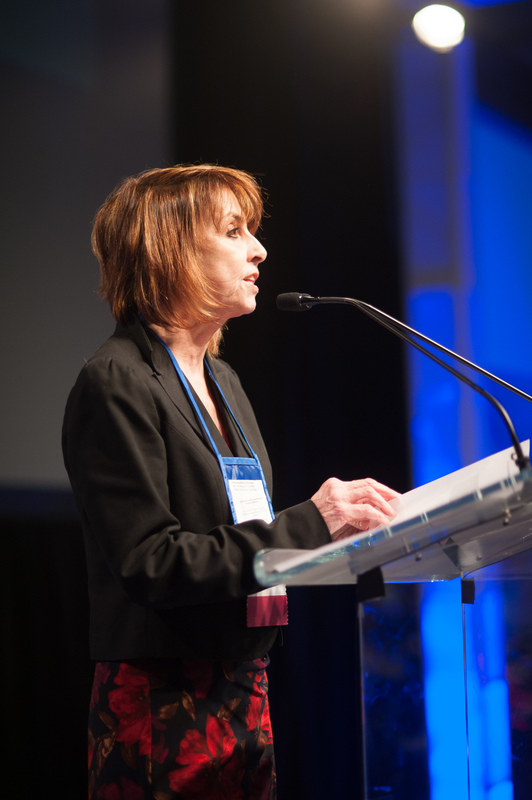 Through the live webcasts of 96 conference sessions, OLC engaged 750 online attendees who were unable to make it to New Orleans. 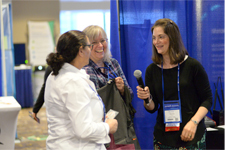 They posed questions to presenters and, along with the 1,200+ people who attended the conference on-site, can now re-watch these sessions on-demand on any device for the next 12 months. OLC Innovate is a joint conference presented by OLC and MERLOT (Multimedia Educational Resource for Learning and Online Teaching), a program of the California State University System that provides free and open online teaching, learning and faculty development services. 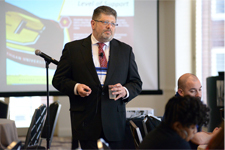 Academic leaders, faculty and administrators came together to discuss education innovation, including emerging technologies, how to incorporate intelligent learning management systems and designing blended classrooms. “OLC has been working with Sonic Foundry for the past decade to create dynamic hybrid events that involve a much larger audience around the world. It’s essential to offer an online experience where attendees can engage in real-time and on-demand, because a conference is only the starting point. The conversations that happen there continue. Having sessions available afterwards provides attendees with an opportunity to continue to glean insights from the sessions they can apply in their organizations. It’s impossible to do that without a powerful video platform like Mediasite that creates rich video libraries of the content,” said Karen Pedersen, Chief Knowledge Officer of the Online Learning Consortium. OLC Accelerate 2017 in November in Orlando, Fla. will also be webcast via Mediasite. 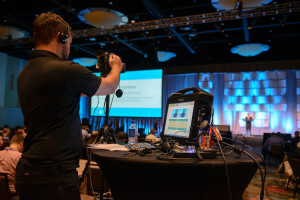 Mediasite Events is a leading provider of event webcasting for hybrid events and high-profile meetings. The team delivers worry-free video streaming and webcasting to hundreds of live and hybrid events of all sizes every year to Fortune 500 companies, university associations, sporting events and more worldwide. Learn more about Mediasite at www.sonicfoundry.com/mediasite/.